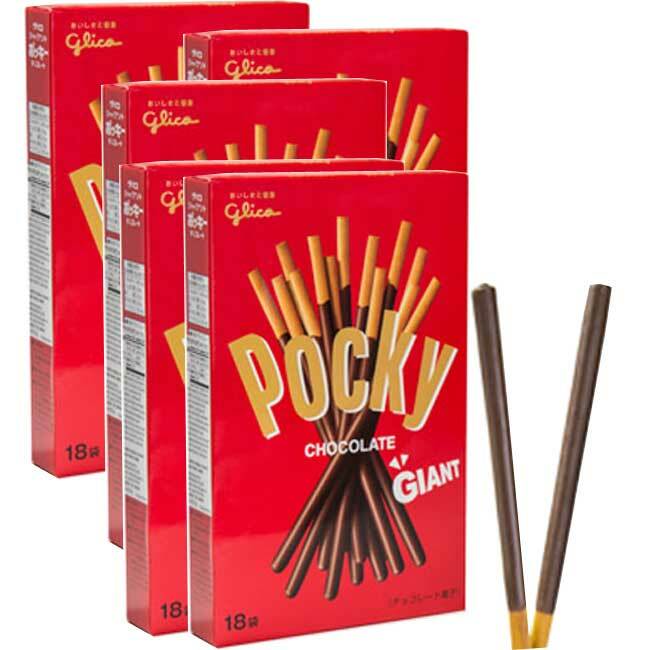 GIANT Pocky Chocolate. There are 5 Giant boxes per order. Delicious cookies dipped in chocolate then supersized for more to eat!